The North Hill Foot & Ankle Clinic has been located in the North Hill Professional Offices in Calgary since 2000. Our podiatry practice focuses on every member of the family, from the very young to the most senior member of the family. At North Hill Foot & Ankle Clinic Dr. Crosby provides a large number of different treatments and services both surgical and non-surgical in nature. 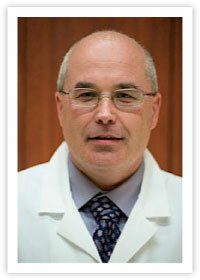 Dr. Crosby is a certified Doctor of Podiatric Medicine. Dr. Crosby received his Doctor of Podiatric Medicine from Des Moines University (formerly University of Osteopathic Medicine and Health Sciences) in Des Moines, Iowa. Following this he completed three years of residency training, two of which were surgical training at Lutheran Medical Center in St. Louis, Missouri. Meet the rest of the North Hill Foot & Ankle Clinic team.